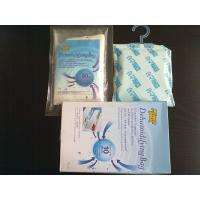 Packaging material:PP and PE compound bag(front), Tyvek bag(back),eachbag packed withPEfilmbag. And the plastic bag canbeprintedas your requirement. Effective time:450 ml (90 ml x 5 packs) capacity can be maintained formore than10-12weeks(depending on the season, temperature and humidity condition) effect.